We’ve never had a better chance of finding extraterrestrial life -- if it exists. Contact with extraterrestrial life would be an epochal event. Even the discovery of a simple alien organism would be transformative, giving us unprecedented insight into how life forms on Earth and other planets. Yet, there's exactly zero proof that life exists beyond this world -- not one alien germ, spore or cell, let alone an advanced race that could save or enslave us. And we don't even know how life sprung up here 4 billion years ago from rocks, mud and water. Scientists are torn on whether extraterrestrial life is abundant, rare or nonexistent. With 300 billion stars in the Milky Way, the late astronomer and futurist Carl Sagan figured there could be up to 10,000 advanced civilizations in our galaxy alone. Others, however, think not only are habitable planets rarer than thought, the odds of life forming are slight even on a promising world. In other words, we might be completely alone in our galaxy or even the universe. Despite pessimism among some researchers, NASA has often implied that if a planet has the same conditions as Earth, it will automatically have life. "I see that as a marketing thing by NASA to interest people in planetary searches," said astronomer Caleb Scharf, who co-authored a paper on the odds of life forming on a planet. "I think [the chances] could be a lot lower, personally." That's reinforced by another stark reality. 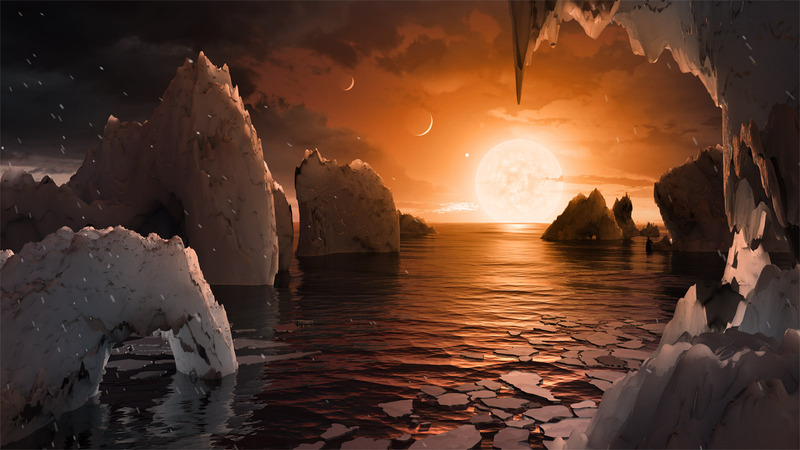 "We haven't seen life everywhere we've looked so far," said astrobiologist Lauri Barge. "If life really requires some unique conditions to emerge, obviously Earth had them, but how many other planets would have them?" So alien life might be out there, but there's a very good chance that it's not. Researchers are excited about either outcome and believe we're about to enter a golden age of planetary discovery. "Whether or not I'm optimistic that any life is out there, I am very optimistic that we're going to find out [either way]," NASA exoplanet researcher Shawn Domagal-Goldman told Engadget. "And I don't think we've ever had a moment like this in the history of our species." Our prospects of finding alien life will explode in the next decade. NASA is on a tear hunting "exoplanets" -- planets orbiting stars outside our solar system -- with the satellites Spitzer, Hubble and particularly Kepler, launched in 2009. So far, the latter has discovered 2,335 exoplanets, 21 of which are in their star's habitable regions, and just the right size and mass for life. The most famous of those is Trappist-1, a seven-planet system discovered in February. It's just 40 light-years from Earth, and as many as three of its planets are in the "Goldilocks zone." The Trappist-1 exoplanets will be one of the first targets of the $8.7 billion James Webb space telescope (JWST), set to launch in 2018. That instrument, parked a million miles from Earth, will be able to analyze the spectrum of exoplanet atmospheres to search for "biomarkers," or signs of life. "If I was talking to you before [Trappist-1], I'd have said don't count on looking at the atmospheres of exoplanets, because you need darn-near-perfect targets," Domagal-Goldman said. "The Trappist planets are darn-near-perfect targets." We can't see exoplanets with a telescope -- they're too small, too far away and too overwhelmed by the light of their stars. If they pass in front of a star, however, Kepler can detect the star's dimming using the "transit method." Based on how much and how often the light dips, along with any wobble in the star, astronomers can figure out the planet's approximate size, mass and distance from its sun. Using stellar radiation models (that give the energy different stars emit) they can even estimate its surface temperature. That's enough to figure out whether a planet is habitable. An ideal candidate has a temperature that supports liquid water and is less than twice the mass of Earth. That way, it's likely to have a rocky surface and gravity that won't crush nascent life. Once a candidate is spotted, NASA will try to analyze its atmosphere. As it happens, Trappist-1 is an ideal study for the JWST because its relatively dim red dwarf star doesn't flood the planets around with light like larger stars do. JWST's main instruments for sussing out Trappist-1 atmospheres will be its NIRCAM and NIRISS near-infrared cameras. When planets pass in front of the star, light will filter through their atmospheres and the instruments will pick out signature wavelengths of distinct chemicals. The cameras will particularly seek "biomarker" chemicals like ozone and methane (though that won't be easy), which usually exist only in the presence of organic life. Ozone, for one, is formed when oxygen produced by plants or phytoplankton is hit by ultraviolet light. Either the presence or lack of an atmosphere on Trappist-1 will be of keen interest to scientists. "I want to know why those planets are uninhabitable," said Domagal-Goldman. "Is it because their atmospheres were stripped? Is it because they had some runaway greenhouse process that they never recovered from?" The JWST won't be the only NASA instrument hunting life. The Transiting Exoplanet Survey Satellite (TESS) will also launch in 2018, searching for exoplanets around nearby stars. Like Kepler, it'll spot them using the transit method. Unlike Kepler, though, it'll scan very bright stars relatively close to Earth. Since those are up to 100 times more luminous than the ones observed by Kepler, it'll make follow-up observations by the JWST or Earth-based telescopes much easier, NASA said. In the mid-2020s, NASA will launch WFIRST, a space telescope with a field of view 100 times wider than Hubble. 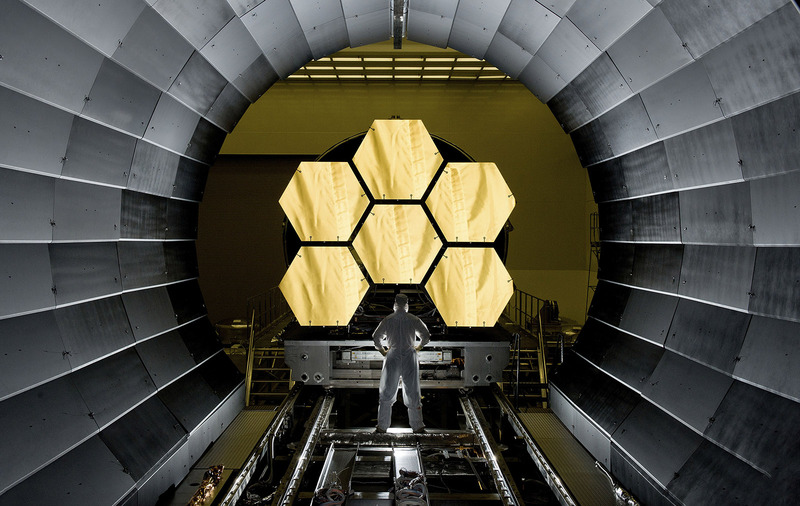 That instrument will also do spectroscopic scans of exoplanets, in support of the JWST. While it 2.4-meter mirror can't gather as much light as the 6.5-meter mirror of the JWST, it has a wider field of vision and excels at blocking out the glare of stars, giving it a clear view of the exoplanets' atmospheres. Along with those instruments, NASA is hunting exoplanets using the ground-based Large Binocular Telescope Interferometer, Spitzer Space Telescope and, yes, the Hubble Space Telescope. Its basic strategy is to find habitable exoplanet candidates using the transit method, then scan their atmospheres using spectroscopes via the erstwhile Hubble (recently repurposed for the task), JWST, WFIRST and large ground telescopes. 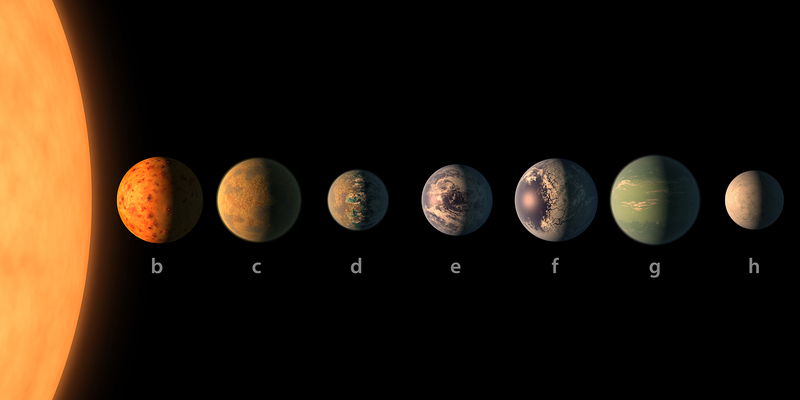 The best potential candidate of Trappist-1's seven planets is Trappist-1e. Its mass and size are similar to Earth (92 percent of its radius and 62 percent of mass), and its estimated average surface temperature, based on the dose of solar radiation it receives (but not taking into account greenhouse-gas effects) is nearly the same. However, it's much closer to its cool, red-dwarf star than the Earth is to the sun, and orbits it just once every six days. Worlds that close to their stars are normally "tidally locked" to them, like the moon is to our world, always showing the same face to it. That adds a degree of difficulty for life. "There are a lot of theoretical reasons why life there could be challenging," Domagal-Goldman said. "And that ranges from tidal-locking and the potential for constant radiation on one side of the planet as well as constant night on the other side." That's typical with dwarf-star planetary systems, which must stick close to their stars to be habitable. If it turns out that life isn't likely around a small red or brown dwarf star, scientists will have to figure out better observational techniques for hotter yellow dwarf stars like ours. We're still not sure about the effects that close proximity and tidal-locking will have on Trappist-1 planets. If you look at our own solar system's three planets in the Goldilocks zone, Venus has a suffocating atmosphere that creates crushing pressures and a surface temperature of 863 degrees F. Mars, meanwhile lost a big chunk of its atmosphere thanks to solar winds and no protective magnetic shield, causing all its surface water to disappear. Only Earth struck that perfect balance between greenhouse heating and solar radiation for liquid water and temperatures that sustain life. On the other hand, Trappist-1e's short year could be an advantage. Its day is probably as long as its year, once every six Earth days. "That means that there's potentially enough angular momentum to impart to the atmospheric oceans, and that will do a better job of circulating heat to the dark side," said Domagal-Goldman. With the JWST, scientists will be able to examine Trappist-1e's atmosphere and compare the results to its temperature, mass, size, orbit and more. That will help them figure out how livable it could be, and also aid in picking out future star-system candidates for observation. The worse-case observation will be no atmosphere at all, while the second-best would be life-support molecules like CO2 and oxygen. In the best-case scenario, JWST will find biomarker molecules like methane and ozone -- a very positive, but not guaranteed, sign of life. Those results can then be used on Earth, and that's where abiogenesis life-formation science come in. Any discoveries made in deep space will help astrobiologists understand what kind atmospheres they should simulate in their Earthbound experiments. It's a virtuous circle: If astronomers know the ideal planetary conditions for life to form, then they can search for worlds that fit those criteria. And if astrobiologists can learn which chemicals are on exoplanets, they can run experiments on Earth with those substances to see if they support life. If they get positive results in the lab, they can feed that information back to the astronomers. "I'd like to know some things [about exoplanets], like how much continental area is there compared to ocean area, how deep is the ocean, what sort of crusts make up the composition on it and what the atmosphere is like," NASA Jet Propulsion Laboratory (JPL) astrobiologist Laurie Barge tells Engadget. "I'd like to know all those things because then you could start running computer models and lab simulations." But how, exactly, did life spring up from minerals and water on an oxygen-free planet? This is where the work of NASA's astrobiologists on abiogenesis, or the formation of life from nonbiological substances, comes in. 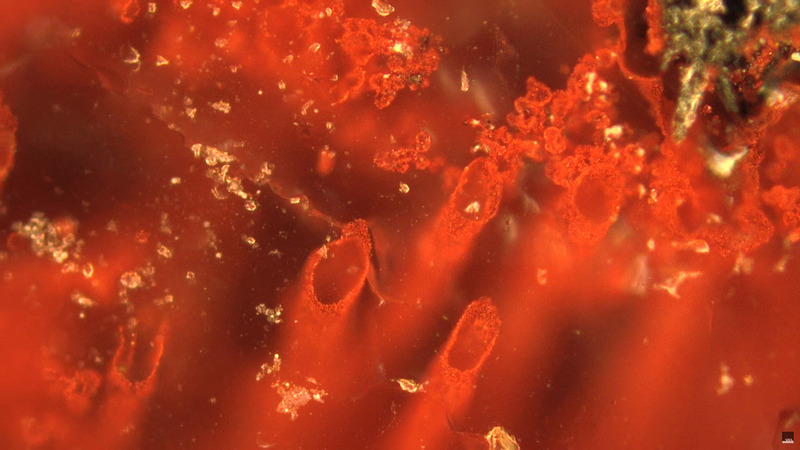 Geologists recently discovered what may be the most ancient fossilized organism ever, that appeared as long 4.28 billion years ago, just 300 million years after the Earth formed. 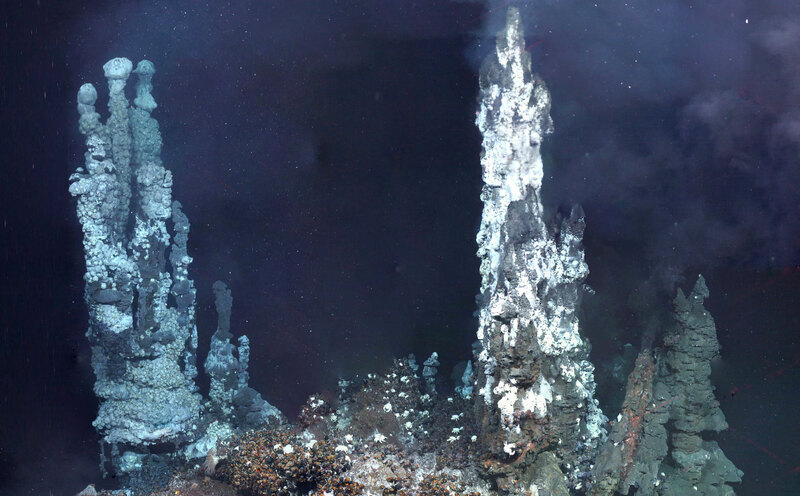 It's still not clear if those were life forms or mineral formations, but "either way ... it validates hydrothermal vents as a path to life elsewhere since these systems could drive [pre-life] chemistry as well as support life," says Barge. Those kinds of thermal vents are exactly what Barge and her team at JPL are studying. We don't know how life sprung up, but we do know that it required energy (metabolism) and chemicals that could somehow form RNA and other molecules present in organisms. 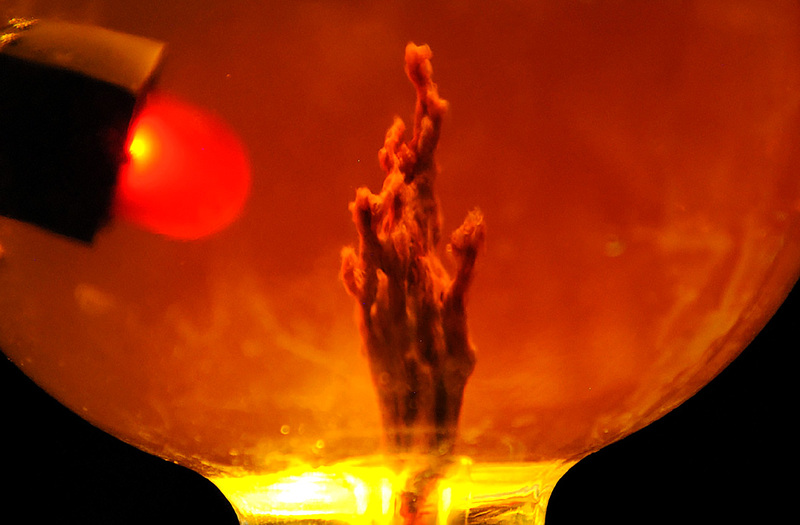 In the lab, the group created "chemical gardens," towering, chimney-like structures that not only generate electrochemical energy but also produce interesting minerals with the potential to form the building blocks of life. The energy and chemicals can drive different types of reactions and, under the right conditions, hopefully create the self-replicating compounds needed for life. "Our experiments simulate how much energy you might get from different kinds of chemistries and different types of environments," Barge said. "And then you try to compare them and say, 'What kinds of life could live here?' "
Barge and her team are interested in early conditions on Earth, pre-life, when it had a much different atmosphere and ocean chemistry. At that point, there was plenty of carbon dioxide but almost no oxygen, because the plants and phytoplankton that turn CO2 into O2 didn't exist. Oceans would have been saturated with CO2, making them more acidic. "So we try figure out things that we can understand about early Earth, and then we incorporate those into our experiments as best we can," said Barge. The results have been positive. The team developed a chemical garden with enough energy to light a bulb. That could be enough to provide life forms with a metabolism, a key part of abiogenesis. When combined with other research about how molecules like RNA assembled from scratch, it might tell a story about how likely it is for life to form in the first place. The quest for intelligent life is a whole different story, but researchers yearn to find some life, no matter how basic. What are the odds? It's hard to say, because not only do we not know how life formed here, we've never spotted it anywhere else. Optimists would say, well, we've got 300 billion stars just in the Milky Way, so millions of those could have Earth-like planets. And life could exist in a variety of chemical forms and un-Earth-like temperatures we haven't imagined yet -- meaning we could have even more habitable planets than we think. But here's the cold shower: Scientists have never seen any sign of intelligent life in the form of radio signals or UFOs, as far as we know. That's despite organizations like SETI, NASA and even the CIA having searched and observed for decades. We've also never spotted any alien organisms or biomarkers, whether on exoplanets, our solar system's planets, the moon or any meteorites that have crashed into Earth. Further harming the odds, scientists know neither the number of possible habitable planets nor the odds of living organisms forming from chemical substances on such worlds. And the latter could be very remote. "We don't know the mechanism whereby nonlife turns into life, so we have no way of estimating the odds," ASU astronomer Paul Davies told Space.com. "It may be one in a trillion trillion (it's easy to imagine that), in which case, Earth life may be unique in the observable universe." Astronomer and physicist Caleb Scharf developed an equation that can yield the average number of "origin of life" events on a planet over a given time. The idea is that if we know roughly the number of habitable exoplanets, we can figure out how many have life on them. Unfortunately, we don't know the value of the variables in the equation, and they could differ by many orders of magnitude. Still, the equation gives researchers a starting point and lets them make educated guesses. "The question of what would you be looking for in the planet that would give you the best of odds of giving rise to life, some of the things would be the same [as on Earth], I think," Scharf tells Engadget. "You're going to still want to look for a temperate environment where relatively fragile organic chemistry can take place." Like Barge, he also thinks that the best place to start is ancient Earth. "I think the first step in looking for habitability would be just looking for planets that resemble what we think the Earth looked like 4 billion years ago," said Scharf. If we're hunting exoplanets that already have life, though, we'll need to find something that's more like Earth is now. Evidence of atmospheres that contain methane, ozone and other life-related molecules will be a big help, and you also have to think of a planet's durability. "For example, you might want to start looking to see, what was the impact history of that planet? Has it been pounded by asteroids forever?" Scharf asks. "Some extinction events probably helped drive the evolution of life [as with dinosaurs], but there are going to be extremes that may eliminate the possibility of living systems having lasted very long." Another problem: Earth is obviously hospitable to life, but there's no evidence that abiogenesis happened more than once in our 4.5 billion year history. If so, that bodes poorly for life emerging on other planets. "If that's a superlow probability, then it may well be that it could have happened only once," said Scharf. "And by the time it got a chance to happen again, the planet was already populated." More optimistically, we could find life forms we don't expect, even something like artificial intelligence, Scharf believes. "[Computer scientists] are trying to code up these systems that somehow come alive," he said. "If someone managed that, it would tell you that the phenomenon of life is not constrained by the substrate, whether it's carbon chemistry, silicon chemistry or software." If we did find life in chemicals we don't expect, that could flip his formula. "Then I'd have to rewrite the equation a little bit, because that would tell you that there is something sort of universal about the phenomenon of life -- it just needs the right kinds of ingredients, and then it will happen." With the JWST and other instruments, along with research on Earth's early chemical soup, knowledge about extraterrestrial organisms could leap ahead in the next decade. If we do discover life, it'll start a boom in astronomical and astrobiological science and discovery. "The dream would be, let's say at the same time in the next 10 years, there's a breakthrough in the lab in terms of understanding the origins of life, someone comes up with a really superb story about how it happened on the Earth and they can make something interesting happen in the lab," said Scharf. "Then, we've got something to really work with." With that data, astronomers could hunt for very specific exoplanets. "It's like little pieces of the jigsaw puzzle starting to fall together, and then you can begin to construct the story for those planets," added Scharf. "And that's where we need much more information about origins of life, in order for this story to make sense." Scientists would be thrilled about discovering life, but they'll also be excited if we prove that it's nowhere to be found. "As a scientist, I'm excited about [Trappist-1] planets either way, because even if it fails to show the signs of life, it's still helping us test our hypotheses," said Domagal-Goldman. "In a nerdy scientist way, you're almost excited about not finding life because it's validating our understanding of the universe." The accumulation of information about exoplanet systems will also be invaluable. "Building up a library of habitable worlds, we would understand better how planets and life interact," said Domagal-Goldman. "And that would give us good information on how better to take care of our home and other planets in our solar system if we ever do colonize them." Comparing worlds on other stars with those in our solar system will also be illuminating. "With exoplanets, you have a lot more variety of conditions and possible examples than that we have in our own solar systems," added Barge. "So looking at which ones definitely don't have life versus which ones might, you learn more about what conditions are required for life on Earth." Most critically, the work could help solve mankind's two most important questions: Where did we come from, and where are we going? "I think we are either going to get more information on how to take care of our home planet by looking at how life interacts with its host planet," said Domagal-Goldman, "or, in an absence of finding life on these worlds, have a better appreciation for how precious life is in the universe."